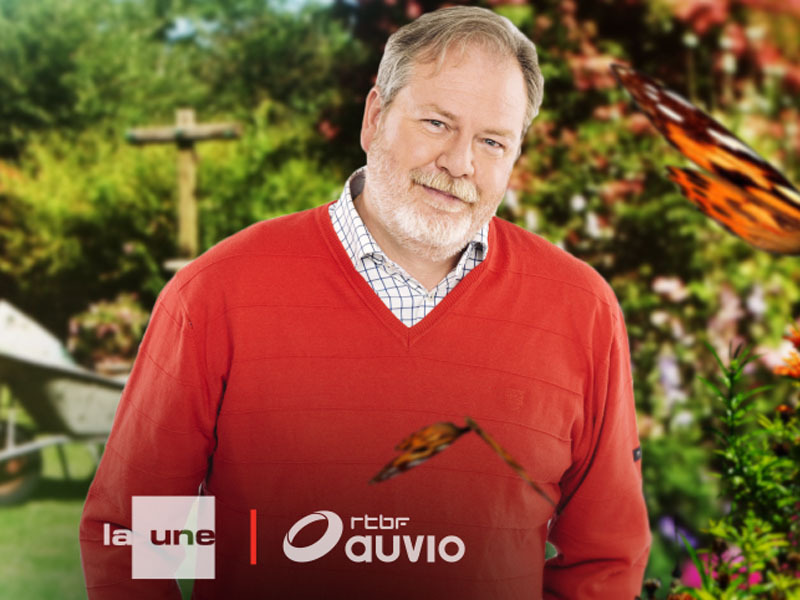 We are delighted by the recent coverage of La Mouissone on Belgium's RTBF television channel, in their weekly programme, Jardins & Loisirs (07 April 2019). We loved meeting Luc Noel and his team and thank them all for presenting us so well. To watch the coverage of La Mouissone, visit Jardins et Loisirs RTBF. 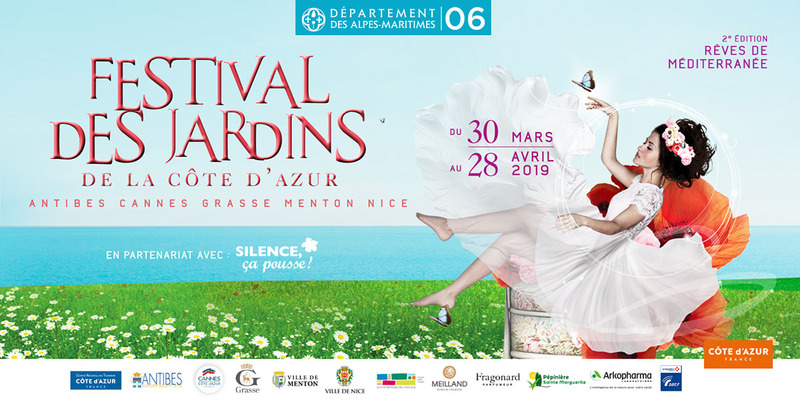 La Mouissone is delighted to participate in the second Festival des Jardins de la Côte d’Azur. To mark this, we will be holding three specialist events reflecting gardening and plants in the Mediterranean. In addition, garden visits will be held on Friday afternoons; 5th, 12th and 26th April, starting at 14.00. For more information on the events, have a look at our programme page. 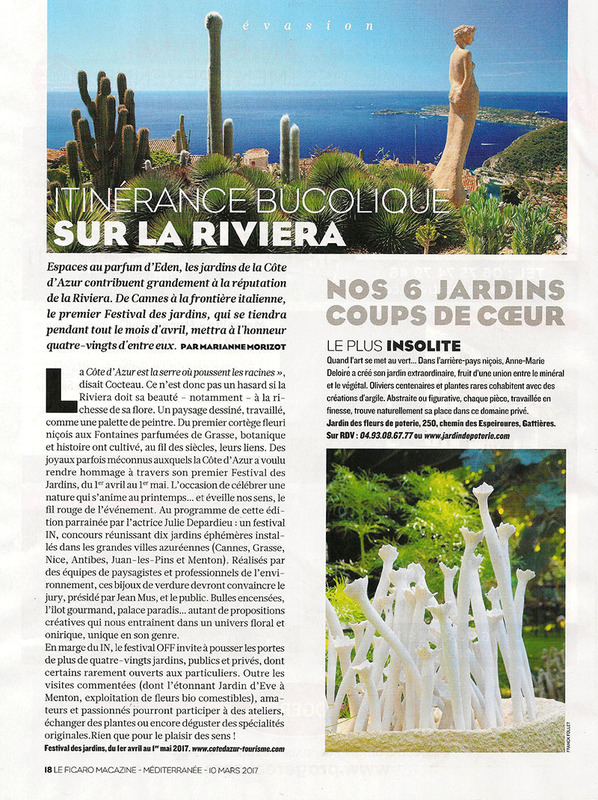 We were all excited to see La Mouissone featured in the latest issue of Détente Jardin. For more information, please see the website. To view the section on La Mouissone, click here. La Mouissone’s team have been invited to the Great Dixter Autumn Plant Fair (Saturday 06 & Sunday 07 October 2018, 11am-4pm) for the fourth year. 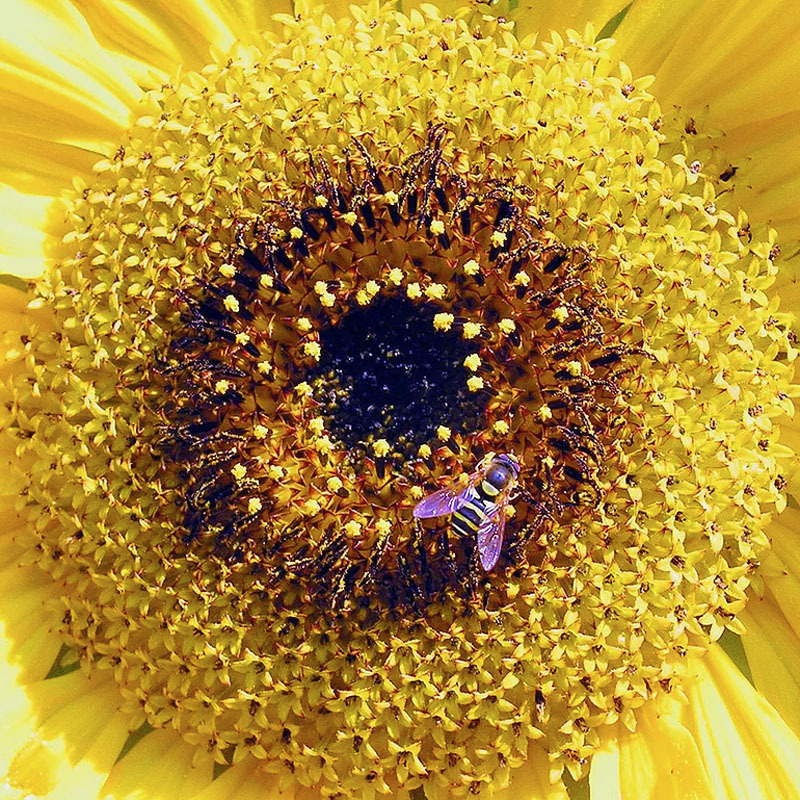 We will come again as supporters of the eminent Mediterranean nurseryman, Dino Pellizzarro, and be on hand to talk to visitors about our experiences gardening in the Mediterranean. Dino is a specialist in Mediterranean and sub-tropical plants, and his stand will have many unusual species of plants suitable for frost-free areas and conservatories. He has been running his nursery at Vallauris for several decades, and is a fount of knowledge on many exotic plants, and gardening techniques. For more information, email Linda at Great Dixter on linda@greatdixter.co.uk or call 01797 254 048. The Rendez-vous aux jardins weekend is here again and, for the sixth year, La Mouissone is proud to be opening its gates again to visitors. This year's theme is 'The Europe of Gardens', which resonates particularly as 2018 is proclaimed 'European Year of Cultural Heritage'. The gardens amongst the olive grove of La Mouissone have several hints at European influences - pomegranates and myrtle seen at the Alhambra in Spain; a Prairie Garden laid out after a visit to Hummelo in Holland, rusted metal structures often found in British garden design, Italian style topiary, English mixed border planting, and, of course, French Riviera plant influences throughout! All are welcome to come to discover the gardens with guided visits from 10.00 to 12.00 and 14.00 to 16.00 on 01, 02 and 03 June. Admission: €12 per person, students €6, children free. Products and plants from the garden available to purchase. Please be sure to wear good walking shoes and think of sun protection. To read more about our involvement, see our listing on the festival website. 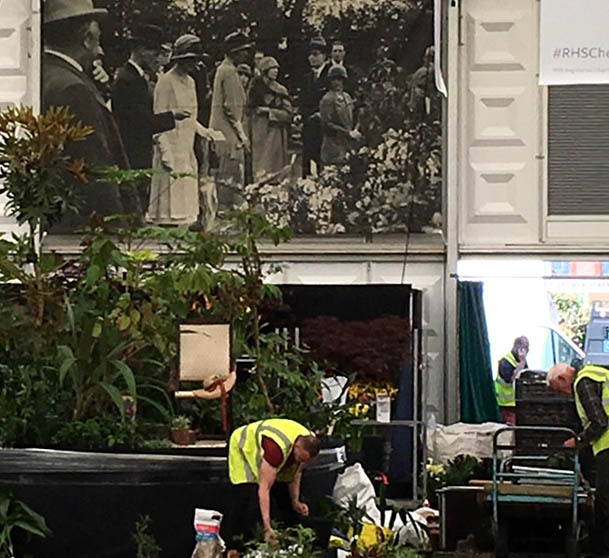 Building the Crûg Farm Plants stand, overlooked by a poster of Chelsea in Miss Ellen Willmott’s time. To keep up to date with Maggie at RHS Chelsea Flower Show, follow La Mouissone on Instagram. Ellen Willmott (1858-1934) loved her hot, steep 21-acre garden at Villa Boccanegra on the Italian Riviera that she owned from 1905-23. A largely self-taught botanist, Ellen was one of only two female recipients of the Victoria Medal (Gertrude Jekyll the other) when she spotted the property, doubtless thanks to her friends the neighbouring Hanburys of La Mortola. 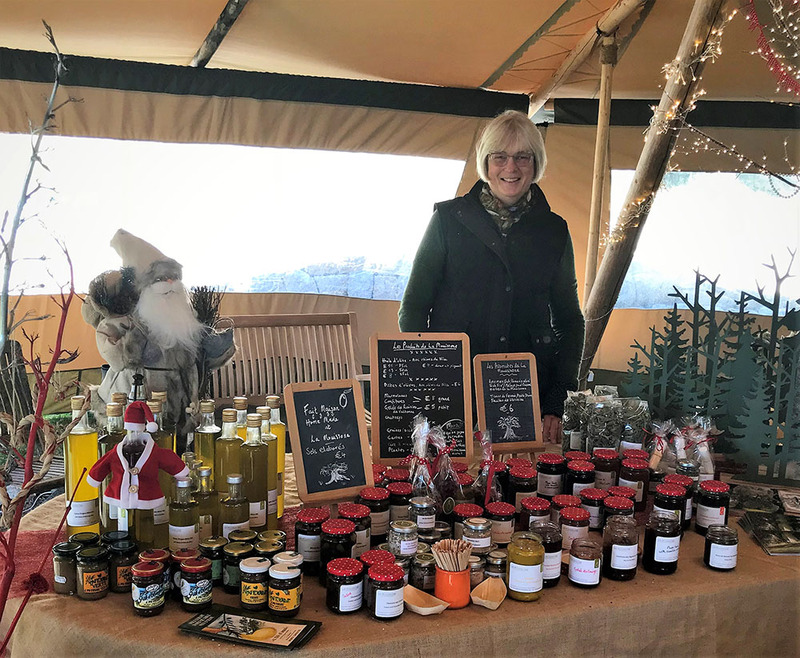 Today it is the visionary Ellen’s generous passion for funding far flung Edwardian plant hunting travels to introduce wild species that especially inspires our stand. 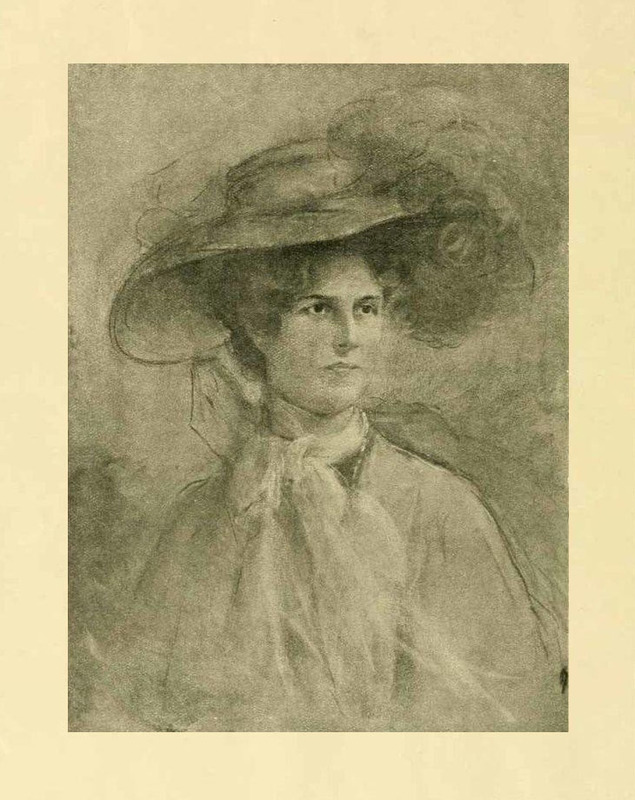 Ellen was a considerable heiress and no slouch, she shopped relentlessly to fill her difficult dry shade with then-unknown wild sourced plants that entranced her for their diversity and distant origins: she favoured bold leaf forms, architectural structure – Agave, for example, contrasting shapes, deep and different tones, all pleasing against her established calm grey olive trees. Many familiar plants now bear her name including Miss Willmott’s Ghost (Eryngium giganteum) and Chinese plumbago (Ceratostigma willmottianum). A number of her eucalyptus, palms and yuccas still survive with the current Boccanegra owners the Piacenza family, under the care of marine, biologist Ursula and her husband Guido. Ellen particularly championed the species Ruscus which features on the Crûg Farm Plants stand, along with Aspidistra and Ophiopogon and numerous other dry shade and heat tolerant selections we have collected on our travels, so many of which commemorate Ellen Willmott’s endeavours. 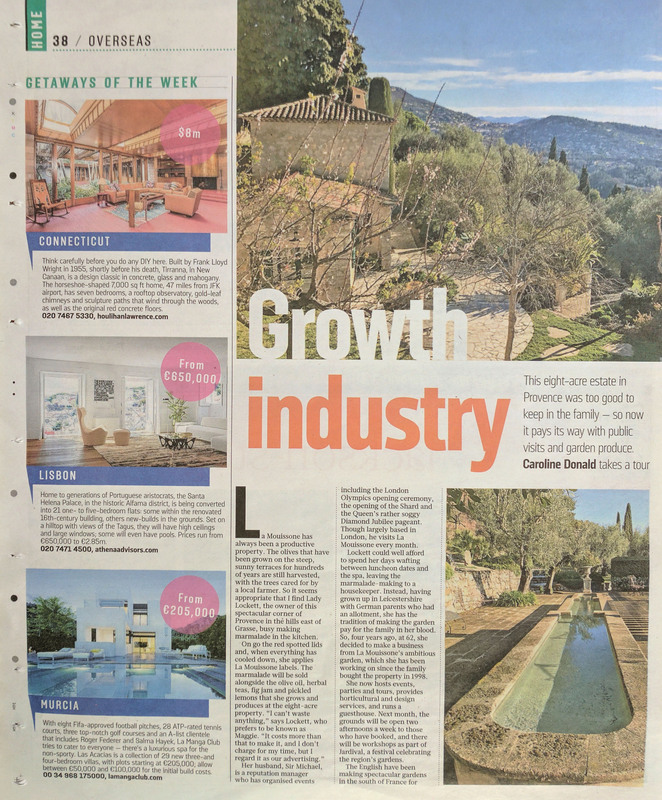 Maggie Lockett has a younger, still developing garden in a mature olive grove of 250 trees that has been inspired in its eclectic mixture of historic British influences by various Riviera gardens and gardeners. 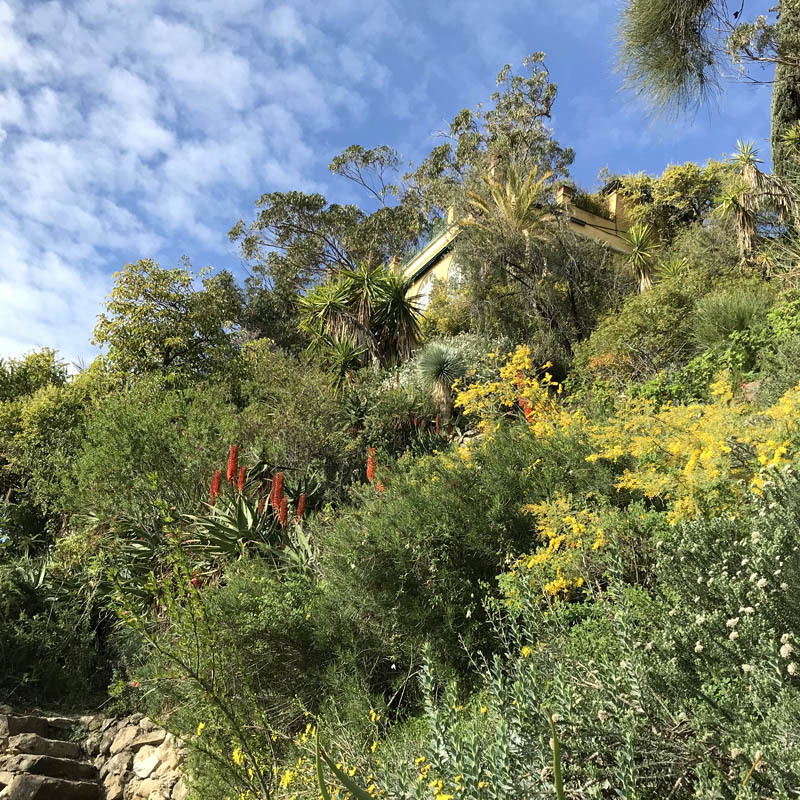 The vegetation of Boccanegra, referencing Ellen Willmott’s choices, and more recently the plant families suggested by Crûg Farm Plants have stimulated the creation of diverse gardens in her challenging site. Maggie gardens in considerable dry shade, plus summer heat, and is attempting to expand her range of plants beyond relying only on reliable indigenous Mediterranean favourites. As well as increasing the collection of plants for hot, dry shade, one of her passions is to cultivate plants associated with scent and taste. 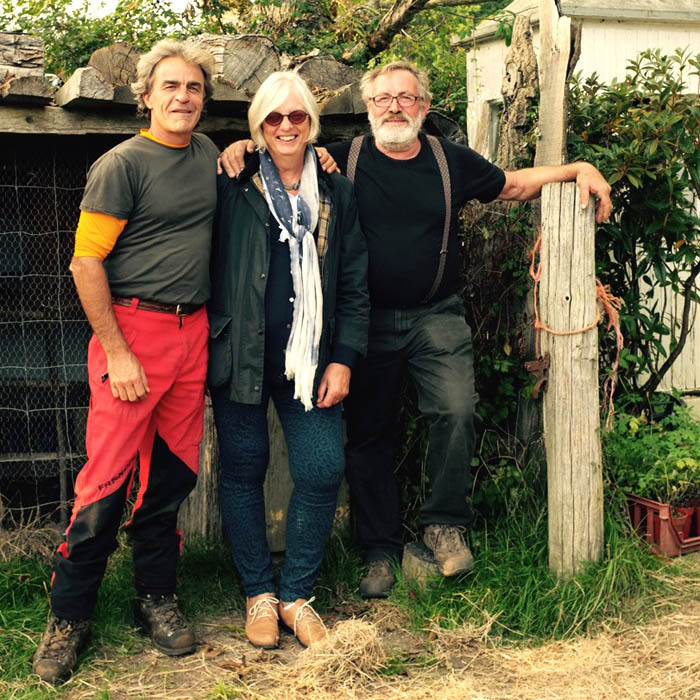 We, at La Mouissone, are delighted to have been invited by plant explorers Sue and Bleddyn Wynn-Jones from Crûg Farm Plants to participate in their stand at this year’s RHS Chelsea Flower Show. The Wynn-Joneses will be taking inspiration from a formidable plantswoman born 160 years ago, Miss Ellen Willmott, and the focus for the theme of the stand will be on her former renowned Mediterranean garden at the Villa Boccanegra, on the Italian Riviera. 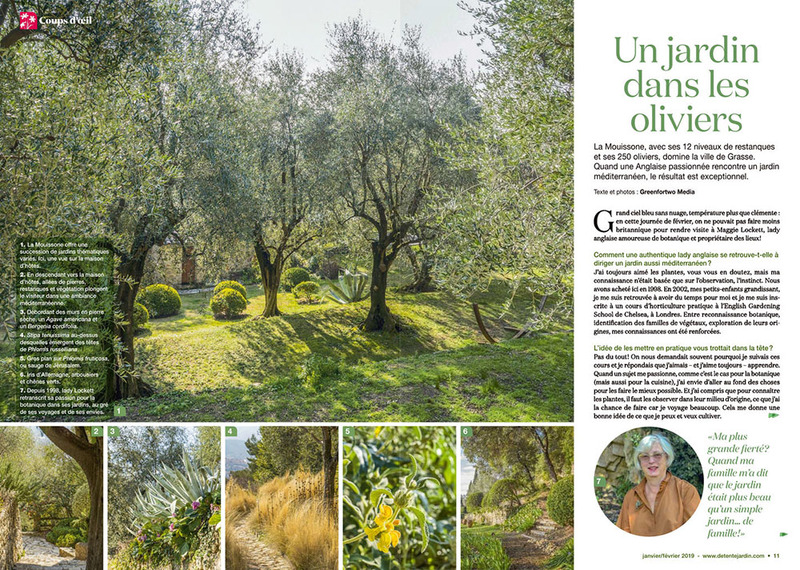 La Mouissone is a much younger still-developing garden within an olive grove, as was Ellen Willmott’s. It has evolved, as the earlier Mediterranean gardens did, through a historical and modern day eclectic mixture of British influence. 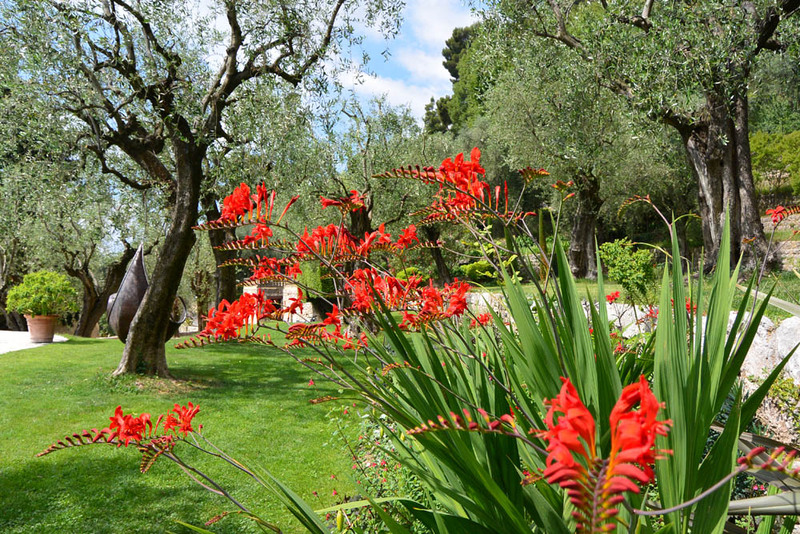 Gardens such as Serre de La Madone, the Hanbury Gardens, and Villa Boccanegra have provided inspiration and information on the choice of plants available in this difficult climate and challenging terrain. 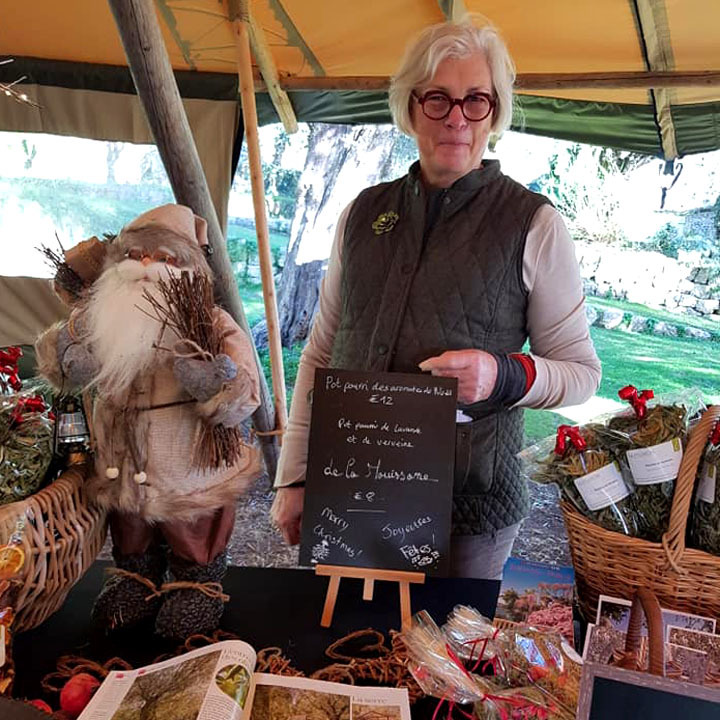 Maggie Lockett is a keen supporter of Crûg Farm Plants and is building up displays at La Mouissone of Crûg’s plant collections. The Chelsea stand will highlight some interesting plants for the most difficult of garden environments, dry shade. Unusual forms of Ophiopogon, and newly discovered species of Aspidistra and Ruscus will be planted under the flamboyant architectural foliage of Oreopanax. Our friend Jessica September Buchanan, the Perfumer, has a new boutique in Grasse. Do make sure you pay her a visit: 4 Place aux Aires, 06130 Grasse. 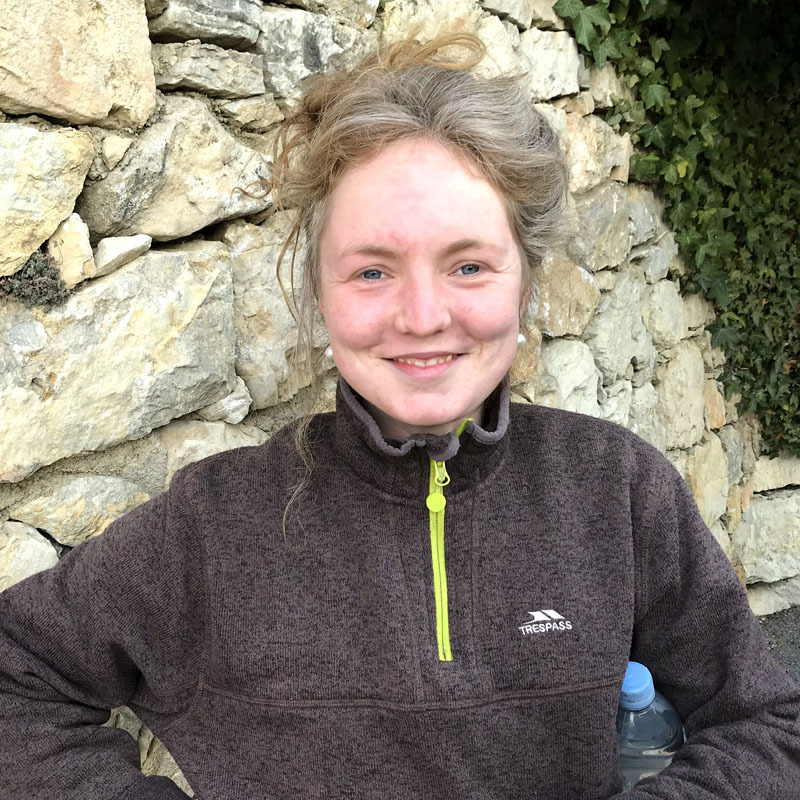 Sally McCarrick, a young talented gardener from the Republic of Ireland has recently joined La Mouissone as Head Gardener for the management and development of our own Gardens within the Olive Grove. 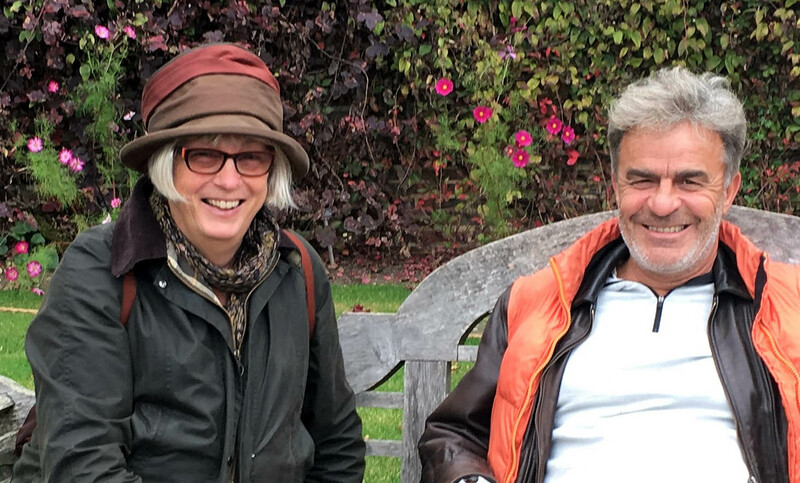 Sally has a strong interest in Mediterranean Gardening, having spent some time at Tresco Abbey Garden on the Isles of Scilly, Britain’s most notable sub-tropical garden. 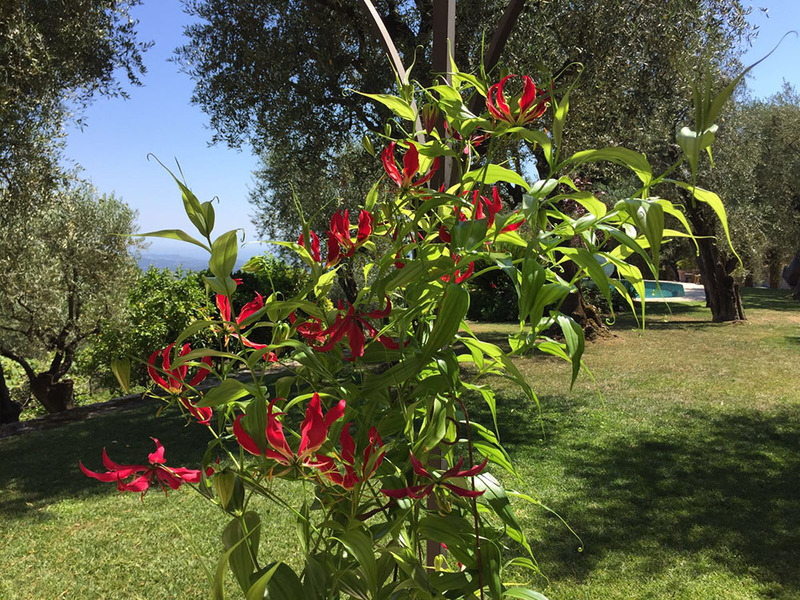 With her great knowledge of Mediterranean climate plants, and gardening practices, she is sure to bring a wealth of new ideas to the gardens. Sally will also be guiding some of our garden visits, so why not come to meet her and view our new plantations! An unusually long period of summer drought! It is usual in the Mediterranean to experience a couple of months in the summer with temperatures around 28°C and little or no rain, but this year has been much hotter and for longer than usual. We had temperatures over 30°C on 30 days during June, July and August. We had only 35 millimetres of rain between the beginning of May until the end of August, compared with 90mm in 2016. In the garden, we noticed that even though the lawns and plants were getting enough water, they slowed down or stopped flowering and fruiting as in ‘normal’ years because of the extreme heat and sunshine. Plants from tropical countries, however, such as Cannas and Gingers, responded well. 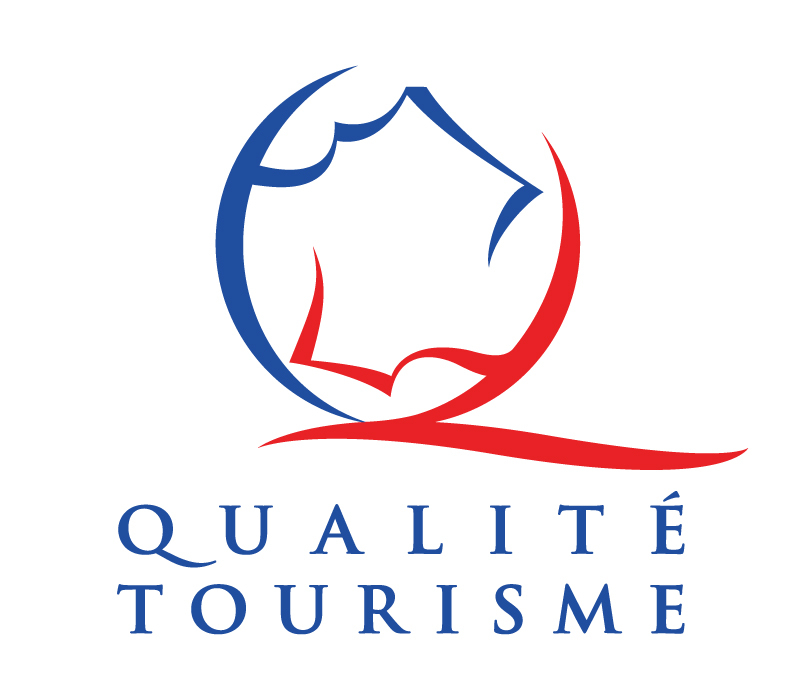 La Mouissone is proud to be the holders of the 'Qualité Tourisme' award, which in part, designates the gardens as complimenting the region's olive farming heritage. Our original and restored dry stone terrace walls are considered to be of the highest quality, and the gardens are a diverse reflection of the climate and terrain. The gardens provide a photogenic and stylish lifestyle location for all types of visual media. 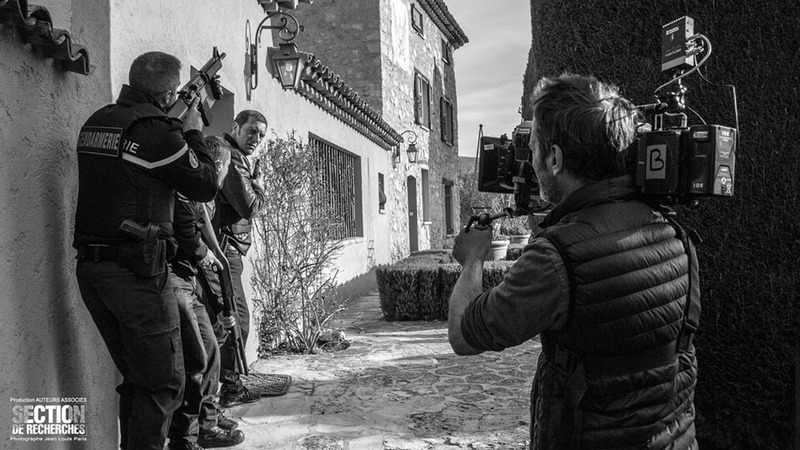 Recently, an episode of the popular French TV series Section de Recherches was filmed at La Mouissone. 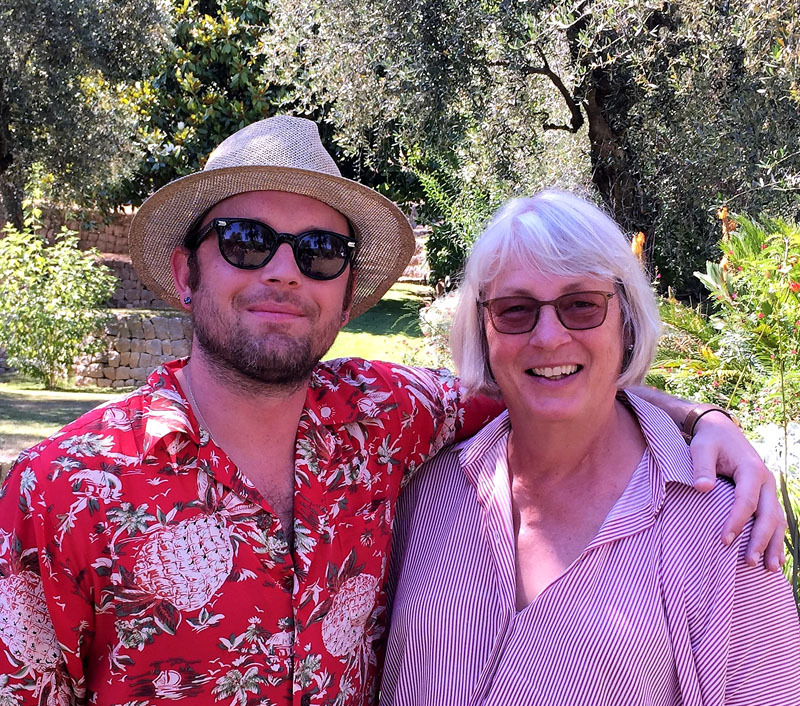 This summer, we were delighted to count Nathan Followill of the group Kings of Leon and his family, amongst our VIP visitors. Here is a picture of our most enterprising visitor, only known to us as Serge. He came on a rainy day at the end of March. We were very nervous because he is quite severely restricted in terms of mobility. However, his team of enablers and their equipment put our misgivings to shame. 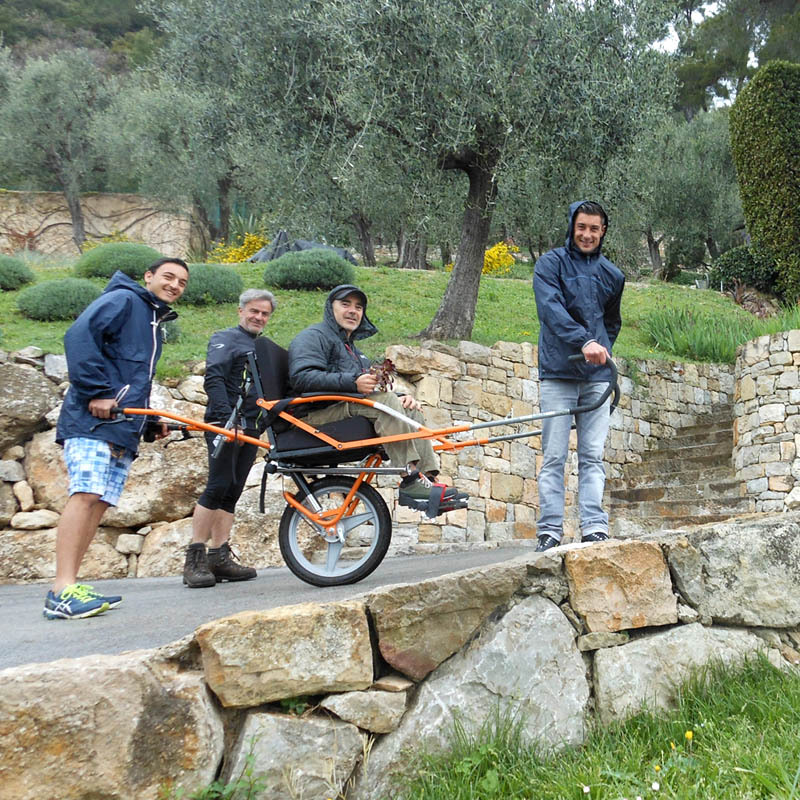 The transporter is called a ‘joëlette’ and can also be attached to a motorised cycle. The team has even taken handicapped people up to the top of Mt. Kilimanjaro – three times! The visit was arranged by Isabelle Chemin of Chemindessens. This is an organisation which aims to facilitate visits for the handicapped to heritage sites. This eight-acre estate in Provence was too good to keep in the family — so now it pays its way with public visits and garden produce.